Frame and legs: in solid Ash varnished in the finishes shown. Top: made from wooden board panel with low formaldehyde content (class E1), covered with laminate with “wood” edge profile or ABS edge profile on all sides, available in the colors shown, veneered, or in gloss or matt screen-printed tempered glass 1 cm thick, available in the colors shown. 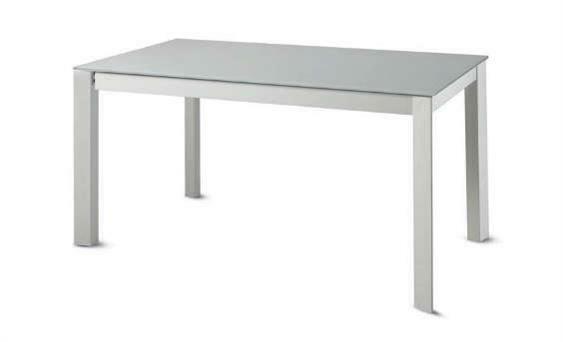 Extensions are: in grey laminate 1.8 cm thick for glass version table; in laminate in the same color as the top for laminate version table, or veneered in the same color as the top for the veneered version table.